﻿ The Ohio State Reformatory - Ohio. Find It Here. The cornerstone laid on November 4, 1886 evolved into this magnificent Chateauesque structure. Cleveland architect Levi T. Scofield designed the Ohio State Reformatory using a combination of three architectural styles; Victorian Gothic, Richardsonian Romanesque and Queen Anne. This was done to encourage inmates back to a "rebirth" of their spiritual lives. The architecture itself inspired them to turn away from their sinful lifestyle, and toward repentanceThe Reformatory doors were opened to its first 150 young offenders in September 1896. After housing over 155,000 men in its lifetime, the doors to the prison closed December 31, 1990.Today the Ohio State Reformatory receives visitors from all over the world. Every year tourists, movie buffs, thrill seekers and paranormal investigators explore the halls of this majestic structure. Walk the same halls as history's most infamous prisoners. Immerse yourself into the foundation that formed The Shawshank Redemption. 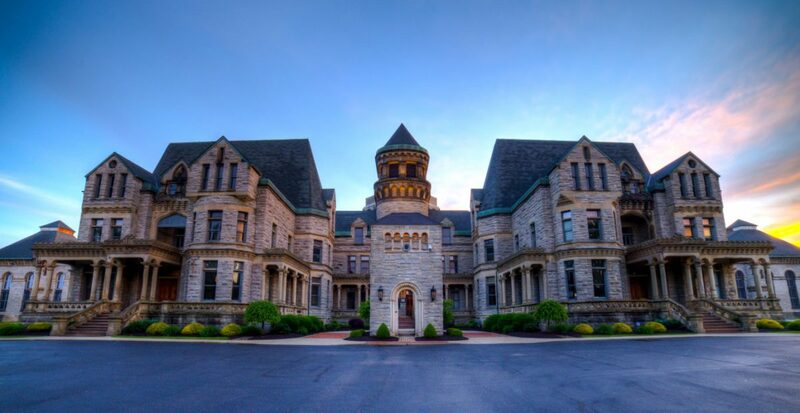 Whether you're hunting for the paranormal or simply looking to tour the beautiful architecture, you can find it here at The Ohio State Reformatory.